Kids Meet the Pirates, the 10th addition to the popular and ever expanding Kids Meet™ series, will have kids saying ‘arrrrr!’ (which means, “I’m happy!” Not to be confused with ‘arrrrgh!’) Kids will learn the lingo and more as they embark on an adventure through this full color pirate meet-and-greet, with amazing illustrations and die-cuts on every spread! 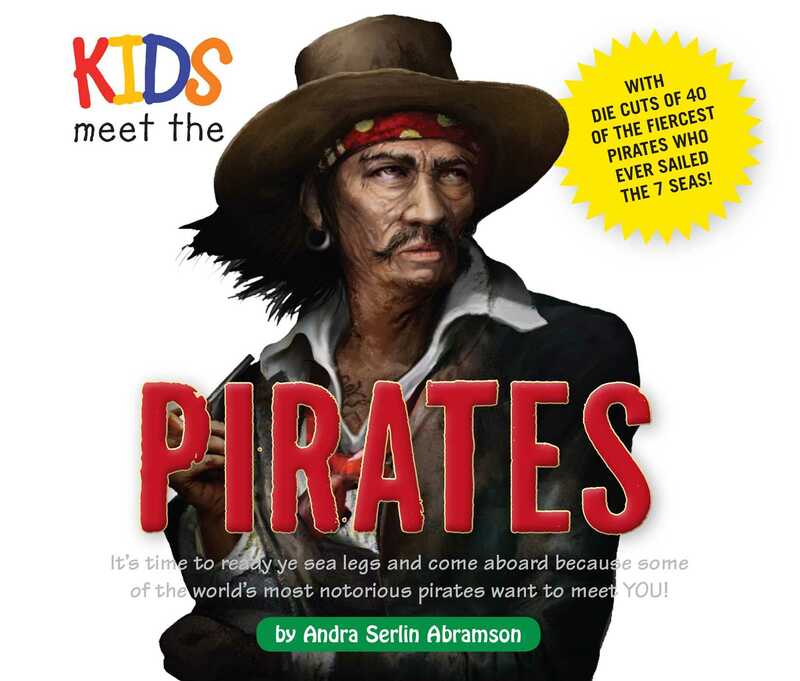 This book features dozens of ‘buckos’ and ‘buccaneers’ that will teach kids all about their ships and treasures. So drop yer anchors and join the fun!